As most everyone knows, the voodoo tradition was brought to the New Orleans region by African slaves, often via Haiti and other islands in the eastern Caribbean. Voodoo’s arrival in the Louisiana region caused it to interlope on other traditions already in place, such as Native American and Atchafalaya Gypsy nature and rootwork practices. Ultimately, African Voodoo’s assimilation into these practices resulted in a potent regional hoodoo tradition that persists to this day. Popular among slaves, some speculate that making voodoo dolls and sticking them with pins was one method by which the slave could exert some control over the master: from the very start white plantation owners, mostly of European descent, feared this and its obvious connection to the more familiar poppet magic of their cultures. More often than not, however, the voodoo doll was employed as a weapon against other believers in voodoo, or vodusi, who did not hesitate to use it and immediately recognized its consequences. Primitive dolls, often bound with twine or cat-gut and stuck through with everything from pins to fish bones, have been unearthed on several plantations in South Louisiana, evidence that the concept of vicarious punishment through use of an image doll was firmly in place among the African slave populations of 18th and 19th century Louisiana. But the idea of using voodoo dolls and other forms of hexes such as gris-gris and mojo, reached its zenith during the reign of the infamous Voodoo Queen of New Orleans, none other than Marie Laveau. Equally famous for her hairdressing skills as for her practice of Voodoo, Marie Laveau rose to fame in New Orleans during the latter half of the 19th century when her reputation as a powerful voodoo mambo (or priestess) grew by leaps and bounds. She was constantly being sought out by rich and poor alike to lend her aid in all sorts of requests, some well intentioned and others not so. Most came to her with simple requests to make a certain person fall in love or to secure the healthy delivery of a baby or an inheritance. But just as often, there were those who asked her to use her power to punish and avenge when they felt they had been wronged in one way or another. The lore of 19th century voodoo is filled with the tales of victims of this vengeful magic who awoke after a fitful night’s sleep to find bones, graveyard dust and the inevitable voodoo doll laying on their porch steps – placed there in the darkness by Marie Laveaux herself. The tales would otherwise be a footnote in New Orleans history were it not for the fact that, according to reliable sources, nearly all the voodoo Marie Laveau performed actually worked. Often, the mere suggestion that the Voodoo Queen had “worked” a person would be enough to cause physical or emotional collapse; this, according to some accounts, was often followed by actual death. The power possessed by Marie Laveau is still at work in the Voodoo practiced in New Orleans today, and the tradition of the Voodoo Doll is still alive and well. Some proponents of Voodoo as a religion attempt to distance themselves from the voodoo doll cursing tradition and there are many examples of dolls created for more positive purposes such as healing and spiritual enlightenment. These practitioners claim that use of voodoo dolls for vengeance and punishment is a form of Bokor (Black) Voodoo that has contributed to the bad reputation the religion has had to bear over the centuries. But it remains a fact that most, if not all, people who seek out a Voodoo practitioner for the creation and manipulation of a Voodoo doll is usually bent on vengeance, at a minimum, or often genuine, irreversible harm. There is something viscerally satisfying about pricking and puncturing an effigy of your worst enemy; the natural expansion of this concept lends itself easily to the act of greater harm and the consequent feeling of control one can obtain from this. Though in recent years there have been no actual reports of a person dying because a voodoo doll was employed against them, it is still not high on the list of things a local from New Orleans wants to see on his or her doorstep any given morning. No one finding this will have any doubt as to the intent of the person(s) who left it there! The practice of sticking pins in "voodoo dolls" has history in healing teachings as identifying pressure points. How it became known as a method of cursing an individual by some followers of what has come to be called "New Orleans Voodoo", which is a local variant of hoodoo is a mystery. Some speculate that it was one of many ways of self defense by instilling fear in slave owners. 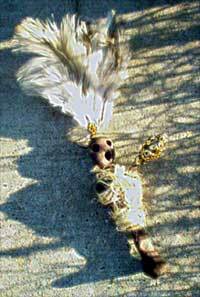 This practice is not unique to New Orleans "voodoo" however and has as much basis in European-based magical devices such as the "poppet" and the nkisi or bocio of West and Central Africa. In fact it has more basis in European traditions, as the nkisi or bocio figures used in Africa are in fact power objects, what in Haiti would be referred to as pwen, rather than magical surrogates for an intended target of sorcery whether for boon or for bane. Such "voodoo" dolls are not a feature of Haitian religion, although dolls intended for tourists may be found in the Iron Market in Port au Prince. The practice became closely associated with the Vodou religions in the public mind through the vehicle of horror movies. There is a practice in Haiti of nailing crude poppets with a discarded shoe on trees near the cemetery to act as messengers to the otherworld, which is very different in function from how poppets are portrayed as being used by "voodoo worshippers" in popular media and imagination, ie. for purposes of sympathetic magic towards another person. Another use of dolls in authentic Vodou practice is the incorporation of plastic doll babies in altars and objects used to represent or honor the spirits, or in pwen, which recalls the aforementioned use of bocio and nkisi figures in Africa. One Haitian artist particularly known for his unusual sacred constructions using doll parts is Pierrot Barra of Port au Prince. So how does a simple creature of cloth, wax or clay become imbued with such power to create havoc and harm? More than just consecrating the doll as the image of a certain person, a lot of the “magic” of making voodoo dolls, especially “black” voodoo dolls, comes from the person creating it. Traditionally, the maker is instructed to concentrate all her thought and effort into the making of the doll, envisioning during the construction all the evil that can possibly be heaped on the victim. 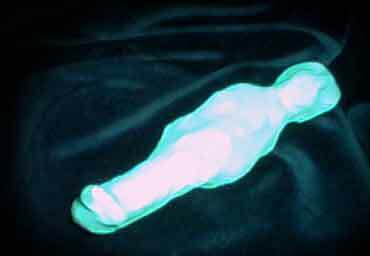 Some practitioners will spend days in the creation and “charging” of their doll, keeping it in sight and venting their anger and frustration at the doll until, when the time comes, the doll is finally given the name of the intended victim and the ritual abuse of the voodoo doll can begin. This process, according to experts in the field, rarely fails, unless the will of the creator falters at some point. The resulting humiliation or punishment of the victim may then be less potent than otherwise intended. Bianca the Voodoo Queen Of New Orleans, began her studies with Voodoo at a very early age. She does not believe in using dolls to harm others in any way shape or form. A noble concept, as what goes around comes back around. Bianca says the origin of the New Orleans voodoo doll was not to inflict pain, but for healing. Choose between the Money vcome to Me Voodoo Doll, Heath and Wealth, Peace and Protection, Love and Passion or Lucky Voodoo Doll. 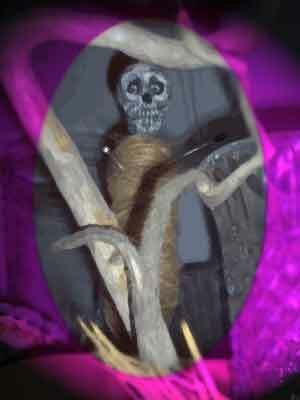 A form of positive (though still manipulative) magic for which the voodoo doll is excellently suited is the traditional magic “binding.” In this instance, the practitioner ritually binds the voodoo doll, charged and named for the individual in question, from doing harm or evil toward others. Thus bound, the ill-intentioned efforts of that person will come to nothing; the person whom the practitioner has protected will experience no harm at the hands of a person thus bound. Conversely, a person can be bound with evil intent and although this is often used in Bokor Voodoo the tradition is an ancient one. European grimoires are full of rituals detailing the use of poppets and dolls for bringing evil to selected individual; many of these rituals even go so far as instructing the practitioner to bury the doll in a kind of symbolic funeral. 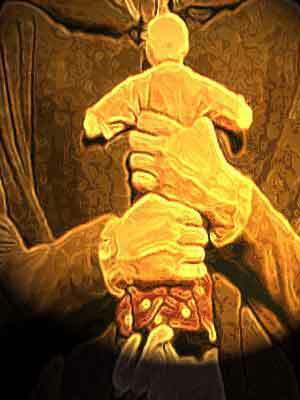 Once this is done, the person whom the doll represented will be seen to waste away and, ultimately, die. This kind of ritual is not uncommon among those who use voodoo dolls for evil purposes. Today there are literally hundreds of kinds of voodoo dolls available. 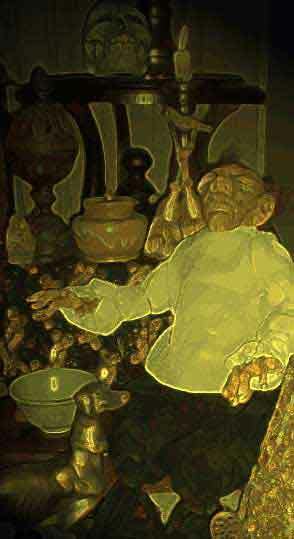 Many are the traditional primitive sort, produced by local voodoo workers for sale to the public. These dolls can usually be identified by their similarities to each other, and often come with a packet of pins and instructions. Most people who purchase these dolls will keep them around as a curio, usually as a reminder of a fun trip to the Land of Voodoo, New Orleans. Although there is a tendency to laugh at this trade, to true practitioners of Voodoo there is a real danger inherent in these mass-produced dolls. “Just don’t name it unless you really intend to use it.” This is the warning given by most reputable mambos or priestesses who provide such items to the public. Obviously, how a voodoo doll is used depends on the person who owns it, but there have been instances where even the most garish-looking tourist trinket voodoo doll has ultimately caused harm – however minor – after arriving at its destination. The lesson here should be obvious. Other voodoo dolls available to the public are more specialized and are usually purchased by collectors or persons who are not unacquainted with the caveats that go along with owning such artwork. Many popular voodoo dolls are created in honor of a particular Lwa, one of the powerful spirits of the Vodoun religion, and though there are many styles, most renditions remain true to the aspects of the particular Lwa they depict. 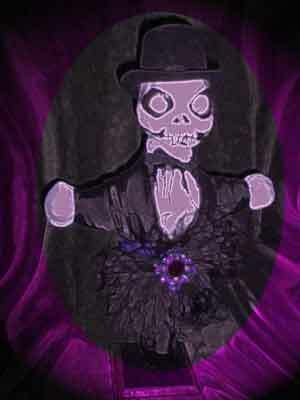 Probably the most popular of these Lwa dolls is Gede, the great Death Lwa, who is represented in various skeletal forms with colors and accoutrements easily recognized by his devotees. 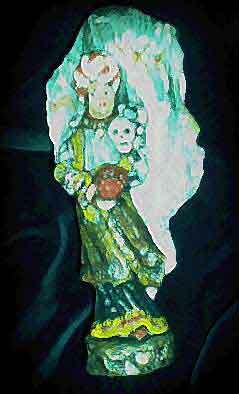 Other popular Lwas are Manman Brigit, Erzulie Freda, Papa Legba, and Lasirien, with her aquatic motif. Other dolls available are rendered in synch with devotion to a particular Lwa but are designed to invoke the power of the Lwa in the owner’s life. These devotional dolls are created more for actual use than for display, and since most are one of a kind, created from an intimate consultation with a practicing mambo or priest, the dolls are highly prized and extremely personal. These dolls are also kept very secure because any ill-intentioned person possessing such a creation can produce no end of aggravation and harm to the devotee it represents. As you can see, voodoo dolls come in a myriad of styles and sizes and can be created for any number of purposes. It is important to remember that the voodoo doll as we know it today represents centuries of magical tradition and as such it should never be treated lightly, even when it doesn’t seem to take itself very seriously (such as the tacky, tourist voodoo magnets mentioned above). Always treat your doll with respect and approach it with the knowledge that it is a creature of craft, your craft or that of another, and as such it has – whether you acknowledge it or not – a life all its own. Today about 15% of the population of New Orleans practices Voodoo. Modern Voodoo has taken several directions: Spiritualist Reverends and Mothers who have their own churches, Hoodoos who integrate and work spells and superstitions, elements of European witchcraft and the occult, and traditionalists for whom the practice of Voodoo is a most natural and important part of their daily lives, a positive search for ancient roots and wisdom. The practice of Voodoo involves the search for higher levels of consciousness in the belief that -as indeed all of the ancient scriptures teach - it is we who must open the way towards the Gods. for when we call out from our hearts, the Gods hear and indeed are compelled to respond. According to Charles M. Gandolfo, founder of the Historic Voodoo Museum, in his booklet, How to Use Your Voodoo Doll for Serious Practitioners (1993), the stereotype is untrue: "First of all the voodoo doll is used about 90% of the time to help people find love, to keep a lover, to guide someone in the right direction, to bring some financial help, or to heal." He adds, "The other 10% is to influence that someone that is evil and to send away that evil person from your life." Voodoo dolls are largely sold as souvenirs, curios, and as novelties in New Orleans.